Horses have been my passion all my life. I’ve worked in the horse racing industry, both Thoroughbred and Standardbred and I’ve also worked on a horse breeding operation. I’ve competed in a few horse shows and I’ve ridden on a drill team. I don’t pretend to be the best rider or the most knowledgeable horse person, but I do know my way around a horse and horse related businesses. 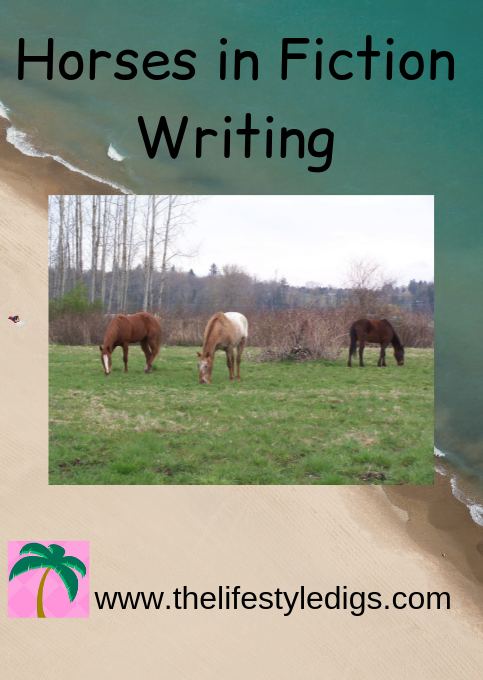 When it comes to using horses in writing fiction, a little knowledge can be a dangerous thing as evidenced by the novels I’ve read where the authors have placed horses and riders into odd situations. I love reading novels where the characters own and ride horses but nothing annoys me more than seeing an author use a horse incorrectly in a novel. A knowledgeable reader will be thrown off track and the continuity and credibility of the novel is questioned. A stallion is an intact male horse. A gelding is a neutered male horse. A mare is a female horse four years and older. A filly is a young female horse up to three years old. A colt is a young male horse. 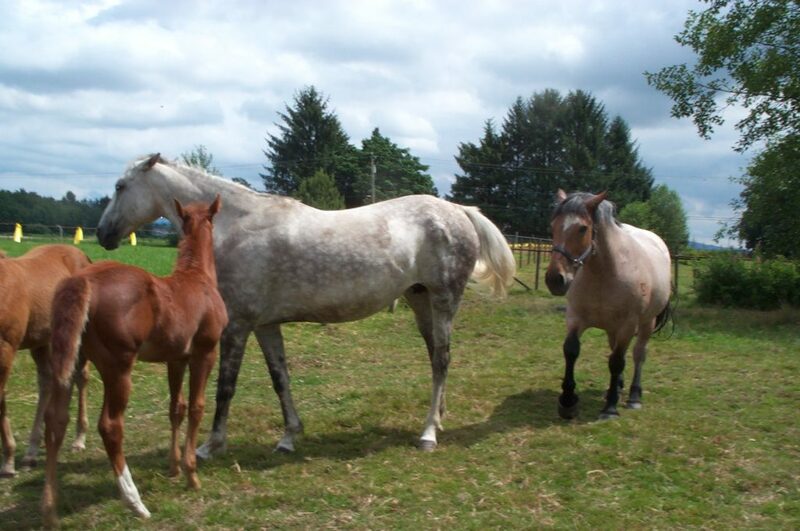 A foal is the mare’s baby, can be referred to either gender. My biggest beef in a novel is seeing the leading man riding a stallion. A stallion has one purpose only and that is to breed mares, although they may begin their careers as a race horse or show horse. Stallions can be sweet and gentle and easy to handle but they can also be unpredictable and dangerous, even more so if there is a nearby mare in heat, and they’re not good choices for a pleasurable trail ride. If you must have a stallion in your story, make sure there is a good reason why he is still a stallion, such as the owner is running a horse breeding operation. The stallion should be living in a stall or a properly constructed stallion pen and not running loose on a pasture with other horses. If your leading man wants to hit the trails on a boy horse, put him on a gelding. Do you have a scene with a broodmare giving birth? Gestation averages eleven months, not nine months like a human. 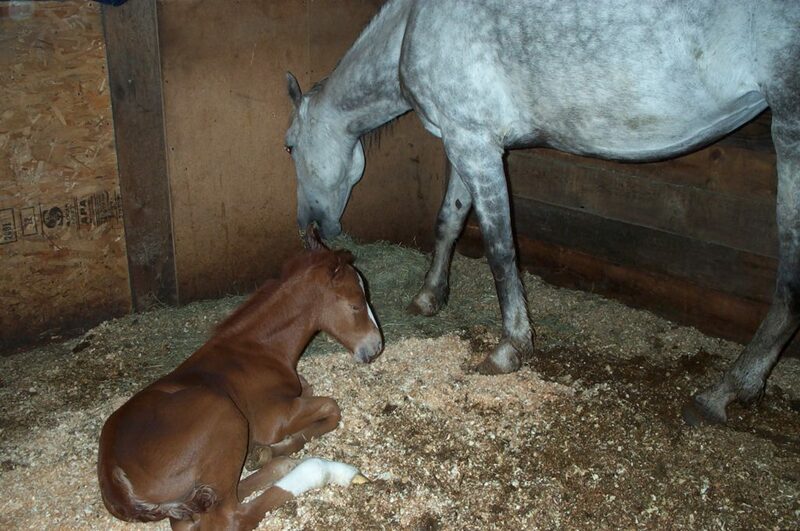 When the foal is ready to pop out it generally happens quickly in fifteen to thirty minutes, perhaps up to an hour. The mare shouldn’t be taking all night for that foal to come out. Call a vet! That mare is having problems! Mares like to wait until it is dark and quiet to have their foals, meaning that baby is coming out between midnight and five in the morning and probably not foaling in time for the kids to get home from school to watch. Quit it already with the Christmas foals. Nothing irritates me more than a mare having a foal born around Christmas. 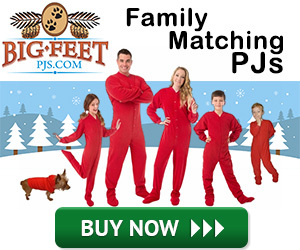 Or birthing in November or December in parts of the country where there’s snow on the ground and freezing temperatures outside. Foals need to be kept warm and their first few days are critical for survival. Race horses and most registered breed horses have their birthday on January 1 regardless of when they’re born in the prior year. Therefore a Christmas foal would legally be one year old when it’s physically only one week old. This puts the horse at a huge disadvantage for showing or racing against others in its same age category who were born months earlier. 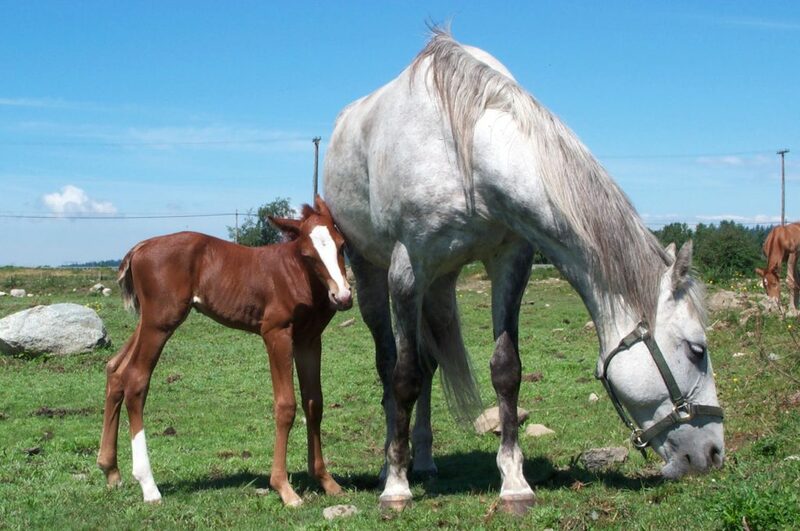 Some breeders try for late January or February foals, but most foals are born during the spring months. If the foal is being born at the end of the year put in a good explanation of why it happened, even if it’s just oops the stallion got loose. Are your characters spending a day at the racetrack? Thoroughbred horse racing is the most popular form of racing in North America and this is where a jockey weighing about one hundred and ten pounds rides the horse at a full gallop around the track. Racing lengths vary from six furlongs (one furlong = one eighth of a mile) to over one mile, depending on the criteria of that particular race. 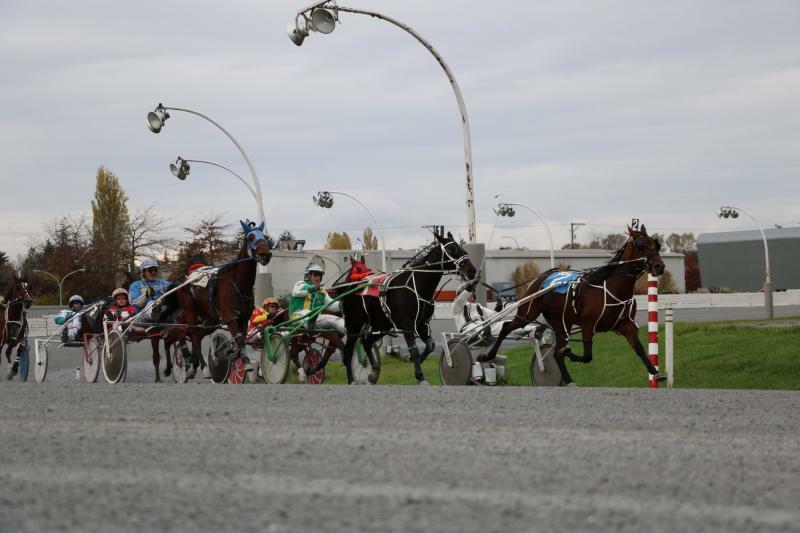 Standardbred horse racing is where the horse pulls a sulky (two wheeled cart) and runs at either a pace or a trot. A driver, no weight restrictions but lighter is better, sits on the sulky seat steering the horse for a one mile race. Look at online racing results to get an idea of winning times. Neither of these breeds is winning a one mile race in one minute. Saddling up for a ride? The general term for equipment is tack. The horse usually wears a bridle on its head and a saddle on its back. Please make sure there is a saddle pad on the horse’s back before throwing on that saddle. Before saddling up make a decision if the rider is tacking up to ride English style or Western, the two most common types of riding disciplines. 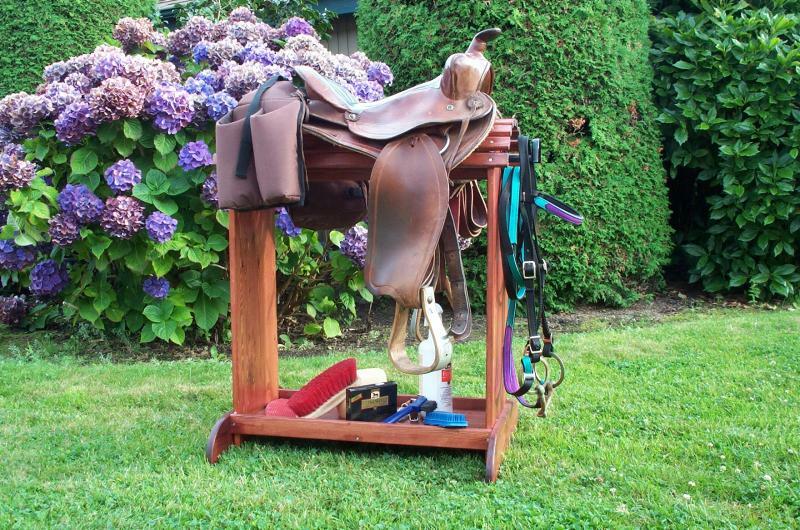 Each style has different looking saddles and different names to describe the various pieces of tack. You will not find a horn on an English saddle, nor will you find leathers and irons on a Western saddle. Describing a horse’s gait? This is the way the horse moves its feet. Terms may vary with different gaited breeds and different styles of riding, but normally you will be safe referring to a walk, trot, and canter. Try not to allow your rider to urge the horse into a full out gallop. 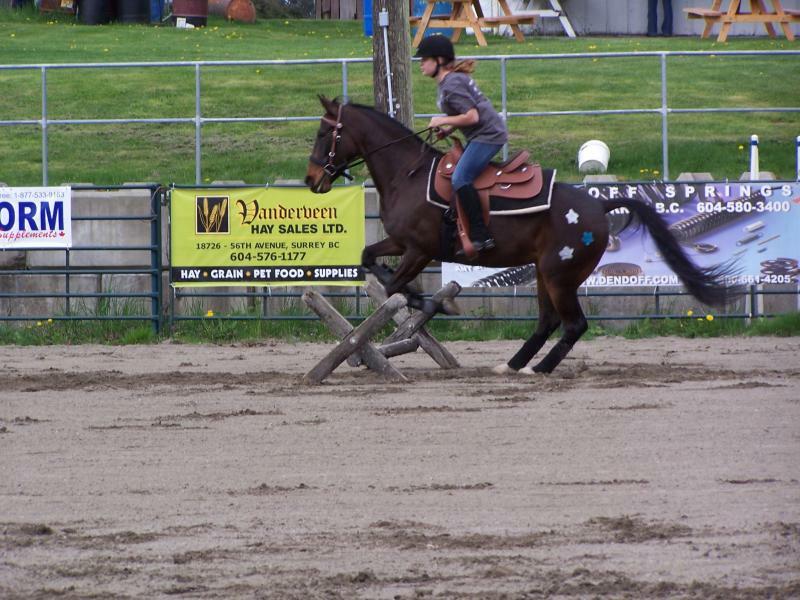 This is the horse’s fastest gait and should only be attempted by experienced riders in conditions safe for the horse. Very few riders are experienced enough to ride a gallop for extended periods and very few horses have the stamina and conditioning for long gallops. Don’t miss my post about bliss with horses. If you didn’t already know, I’ve written a few novels featuring horses. They can all be purchased on Amazon for the amazing price of only 99¢! Don’t buy any of my novels without trying them out first. I wouldn’t want you to be unhappy if they’re not your thing! You can read the first couple of chapters or so for free on Amazon before deciding to buy. The Movie Star’s Son, a romance novel, barely has a horse presence. The main character’s room mate owns a horse. Horseman Spell is a sweet romance featuring Standardbred racehorses and what happens when a woman falls into a relationship with her ex-boyfriend’s brother. Ringer is a romantic mystery and a fun novel for me to write. 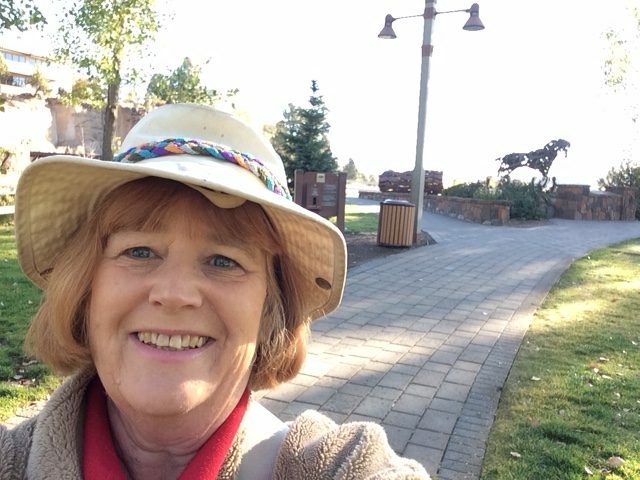 Racehorse switching, a chase, and a road trip from British Columbia to California wine country. I decided to start writing a cozy mystery series and wrote the first two in the series, Un-Neigh-Borly Behavior and Tubbed to Death. And then life got in the way. I’ve written a few chapters of the third novel, but can’t seem to complete it. The series is about a horse training couple from Ohio who stumble across dead bodies. If you’re a writer who doesn’t have horse experience, how do you keep it real? Searching the Internet for specific breeds of horses is the easiest solution. 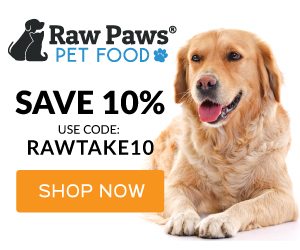 All the registered breeds have their own web pages with a contact person available to answer questions. Log onto any Internet horse forum for help. Horse owners love to talk about their horses and will answer your questions, assist you with a credible scene construction, and tell you if you’re on the right track or if the horse will have the last laugh on you.